Resistors are the most commonly used components in electronic circuits and devices. The main purpose of a resistor is to maintain specified values of voltage and current in an electronic circuit. A Resistor works on the principle of Ohm’s law and the law states that the voltage across the terminals of a resistor is directly proportional to the current flowing through it. The unit of resistance is Ohm. The Ohm symbol shows resistance in a circuit from the name Geog Ohm – a German physicist who invented it. 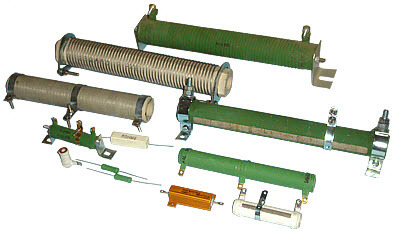 There are different types of resistors available in the market with diverse rating and sizes. Some of these are described below. 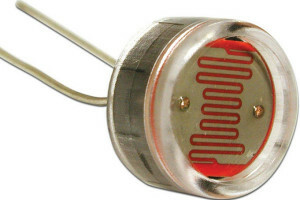 These resistors vary in physical appearance and size. These wire-wound resistors are commonly a length of wires usually made of an alloy such as nickel chromium or copper-nickel manganese alloy. These resistors are the oldest type of resistors having excellent properties like high power ratings and low resistive values. During their use, these resistors can become very hot, and for this reason these are housed in a finned metal case. 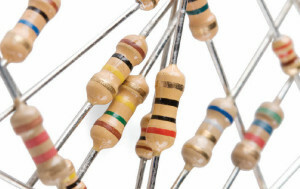 These resistors are made from metal oxide or small rods of ceramic-coated metal. These are similar to carbon-film resistors and their resistivity is controlled by the thickness of the coating layer. 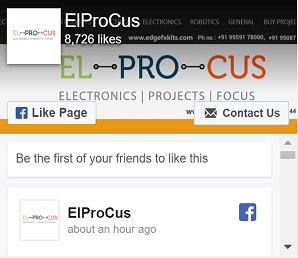 The properties like reliability, accuracy and stability are considerably better for these resistors. 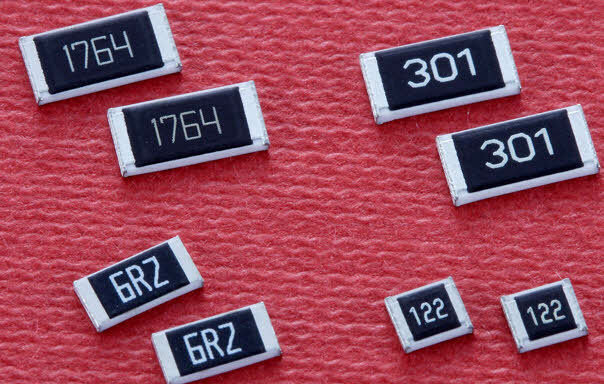 These resistors can be obtained in a wide range of resistance values (from a few ohms to millions of ohms). Thin film resistors are made by sputtering some resistive material on to an insulating substrate (a method of vacuum deposition), and are therefore more expensive than the thick film resistors. The resistive element for these resistors is approximately 1000 angstroms. 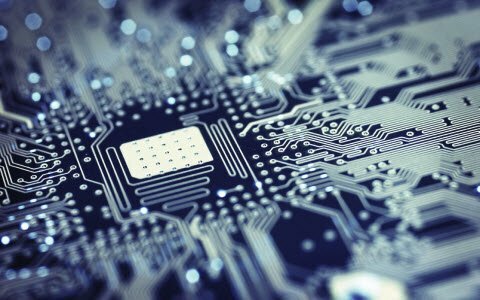 Thin film resistors have better temperature coefficients, lower capacitance, low parasitic inductance and low noise. These resistors are preferred for microwave active and passive power components such as microwave power terminations, microwave power resistors and microwave power attenuators. These are mostly used for applications that require high accuracy and high stability. Usually thick film resistors are made by mixing ceramics with powered glass, and these films have tolerances ranging from 1 to 2%, and a temperature coefficient between + 200 or +250 and -200 or -250. These are widely available as low-cost resistors and compared with the thin film, thick film resistive element is thousands times thicker. 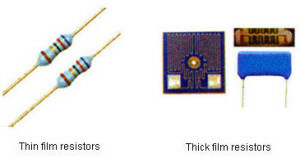 Surface mount resistors come in a variety of packages size and shape agreed by the EIA (Electronic Industry Alliance). These are made by depositing a film of resistive material and don’t have enough space for color-code bands owing to small size. The tolerance may be as low as 0.02% and consists of 3 or 4 letters as an indication. 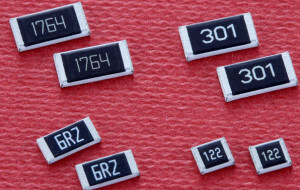 The smallest size of the 0201 package is a tiny 0.60mm x 0.30mm resistor and this three number code works in a similar way to the color code bands on wire-ended resistors. 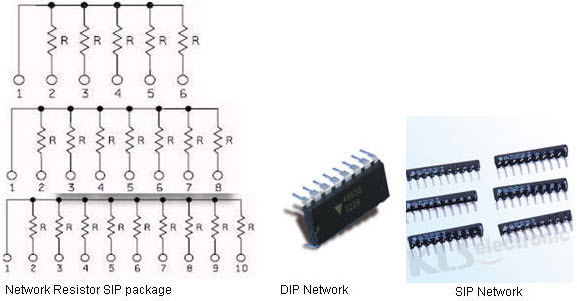 Network resistors are a combination of resistances that give identical value to all pins. 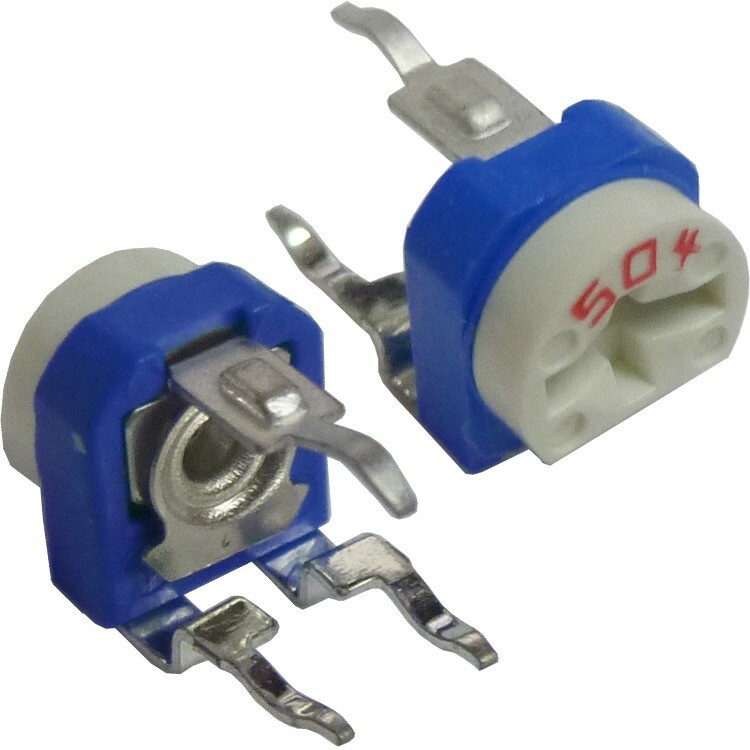 These resistors are available in dual inline and single inline packages. 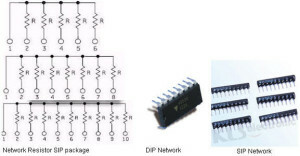 Network resistors are commonly used in applications such as ADC (Analog to digital converters) and DAC, pull up or pull down. 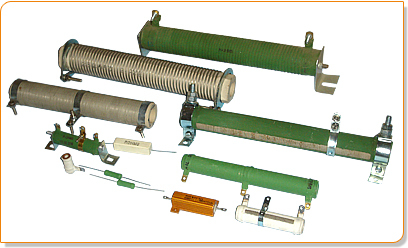 Most commonly used types of variable resistors are potentiometers and presets. These resistors consist of fixed value of resistance between two terminals and are mostly used for setting the sensitivity of sensors and voltage division. A wiper (moving part of the potentiometer) changes the resistance that can be rotated with the help of a screw driver. These resistors have three tabs, in which the wiper is the middle tab that acts as a voltage divider, when all the tabs are used. When the middle tab is used along with the other tab, it becomes a rheostat or variable resistor. When only the side tabs are used, then it behaves as a fixed resistor. 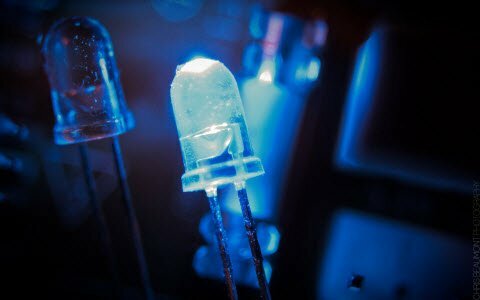 Light-dependent resistors are very useful in different electronic circuits, especially in clocks, alarms and street lights. 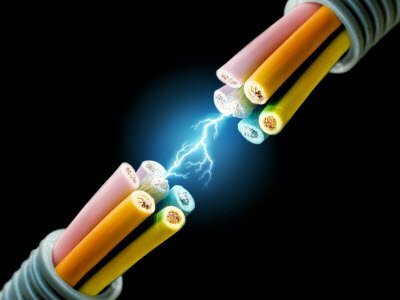 When the resistor is in darkness, its resistance is very high (1 Mega Ohm) while in light, the resistance falls down to a few kilo Ohms. These resistors come in different shapes and colors. Depending on the ambient light, these resistors are used to turn ‘on’ or turn ‘off’ devices. To find out the color code of a resistor, here is a standard mnemonic: B B Roy of Great Britain has a Very Good Wife (BBRGBVGW). This sequence color code helps to find the resistor value by seeing colors on resistors. 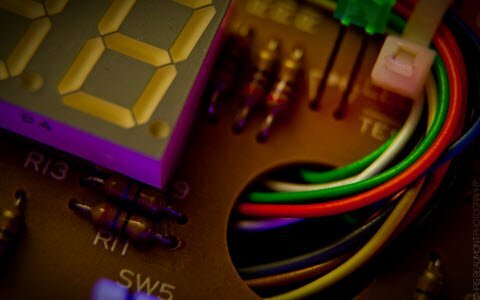 Don’t Miss: Best Resistor Color Code Calculator Tool for find out the value of resistors easily. The first digit or band indicates, first significant figure of component. The second digit indicates, second significant figure of component. The third digit indicates the decimal multiplier. The fourth digit indicates tolerance of value in percentage. the 4-band resistors consist of colors: yellow, violet, orange, and silver. The color code value of the above resistor is 47×103 =4.7Kilo Ohms, 10%. 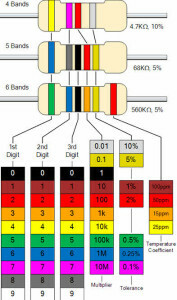 In the above 5 bands resistors, the first three colors indicate significant values, and the fourth and fifth colors indicate multiplying and tolerance values. To calculate the color code of the above 5 band resistor, 5 band resistors consist of colors: blue, grey, black, orange, and gold. The color code value of the above resistor is 68×103 = 6.8Kilo Ohms, 5%. 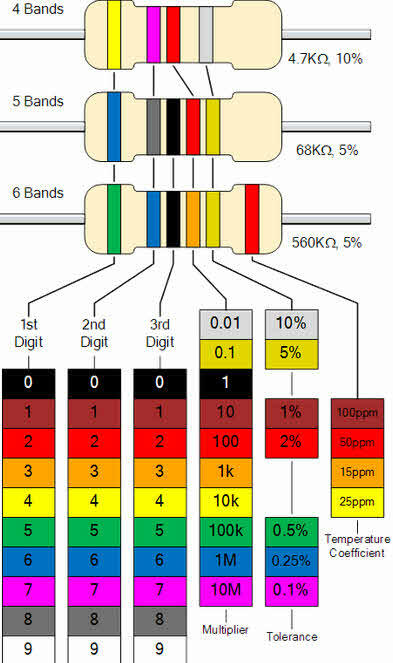 In the above 6 bands resistors, the first three colors indicate significant values; the Fourth color indicates multiplying factor, the fifth color indicates tolerance and the sixth indicates TCR. 6 band resistors consist of colors: green, blue, black, yellow, gold, and orange. The color code value of the above resistor is 56×104 =560Kilo Ohms, 5%. 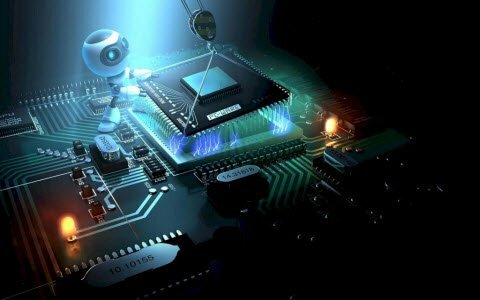 This is all about different resistors and the color-code identification for resistance values. We hope that you might have understood this concept, and therefore, would like you to share your views on this article in the comment section below.